Germany’s Eifel region is mostly known as the home of internationally renowned Formula 1 racetrack, The Nürburgring. Very few people are aware that the region also houses the country’s most famous manufacturer of horn-framed glasses. Amidst quaint little villages and rolling hills lies the glasses factory for Hoffmann Natural Eyewear. Doing things the natural way has been a focus from the start: Only natural materials are used during production and the only waste products are horn shavings, which are used as fertilizer on fields and vineyards in the area. 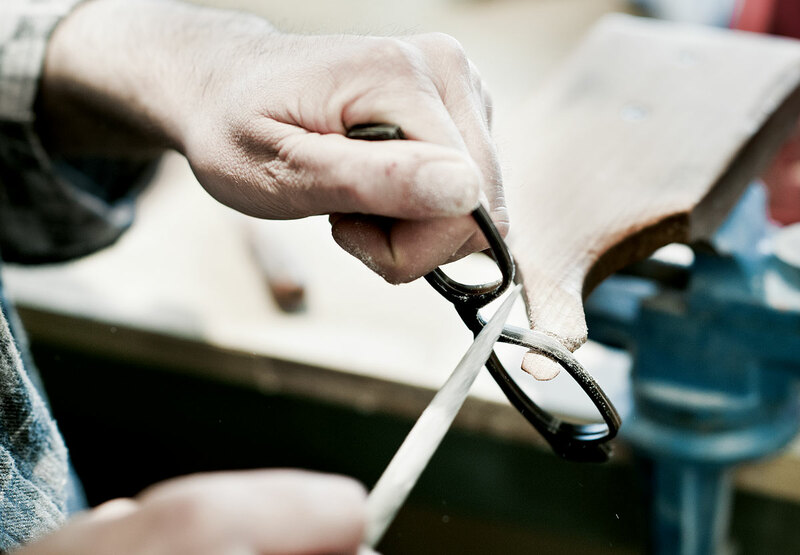 Hoffmann Natural Eyewear enjoys a reputation for handcrafted quality and individuality, with many international eyewear brands using the traditional methods perfected by the German family operation. The production site on the outskirts of volcanic mountain range Hohe Acht is permeated by an air of calm and friendliness. 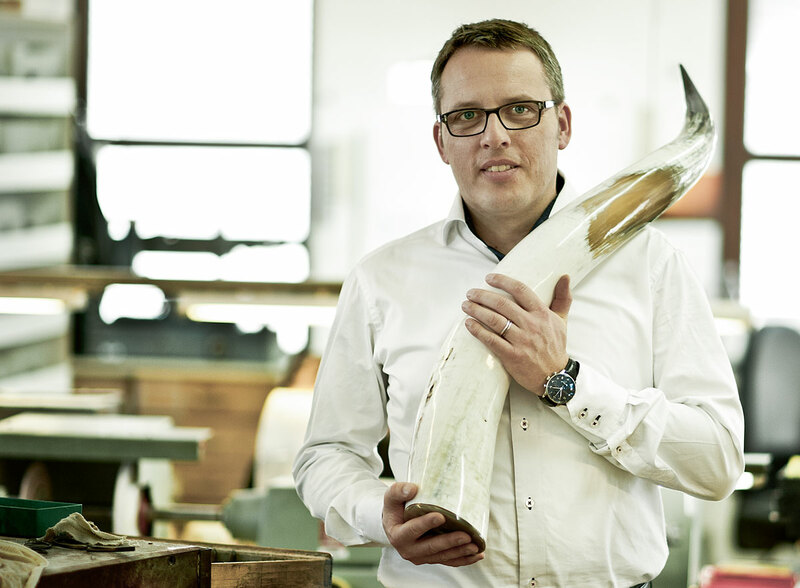 On our visit, we received an exclusive tour by owner and CEO Wolfgang Thelen, who explained the many subtleties of producing horn-framed glasses. Hello Mr. Thelen, when did Hoffmann Natural Eyewear and what was the objective behind launching the brand? Hoffmann Natural Eyewear was founded in 1978 by Joseph Hoffmann. His philosophy consisted of only using pure, natural horn for the frames. On one hand, horn offered a great alternative to tortoiseshell, which started becoming disused for reasons of wildlife conservation. On the other hand, horn is one of the oldest materials in eyewear design. How did you become involved with Hoffmann Natural Eyewear? I was building up distribution structures for Hoffmann in Switzerland and Southern Germany between 1992 and 1994. In 1996, my wife and I founded our company IVKO, initially producing aluminum frames and later on also glasses for kids, including a collection with [renowned children’s book author] Janosch. In the year 2000, we decided going back to glasses for grown-ups. We wanted to focus on a niche market that was not too crowded, so we ended up taking over Mr. Hoffmann’s company with ten employees. We constantly expanded and are now at 52 employees. 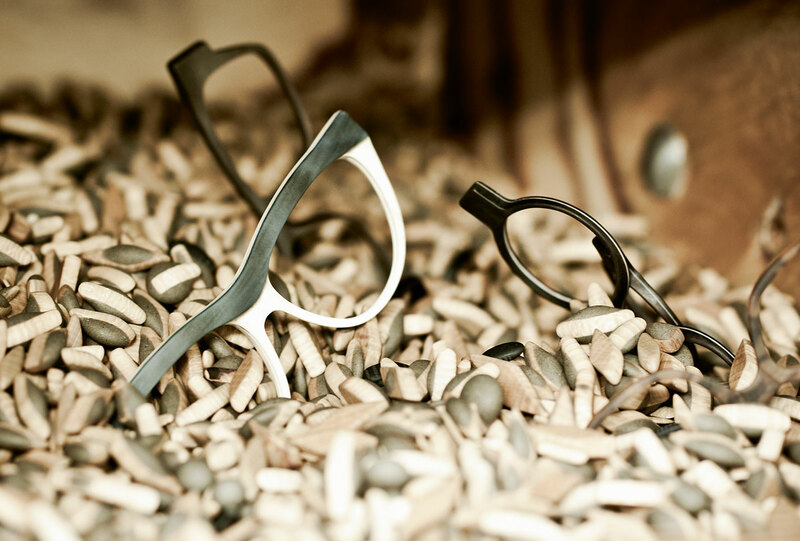 Horn-framed glasses by Hoffmann Natural Eyewear can be found in many countries within and outside of Europe. Elton John is one of our customers. We not only produce under our own name, but for many other renowned labels. Looks like you command technical know-how that’s in high demand by other brands. How would you describe your company’s philosophy? The frames should be entirely natural. We use no plastics, just natural materials. We not only work with buffalo horn from Indian water buffaloes, but also oxen horn. We also implement different types of woods and silk fabrics. Also stag horn and alpaca hair. Where is horn sourced as a natural material? Are buffaloes and oxen breed and slaughtered specifically for horn production? Horn is a naturally regenerating raw material. The water buffalo is a holy animal in India, not a wild animal and not hunted, but used as a farm animal in rice cultivation. When the buffalo dies from old age, the material becomes available. Water buffalo horn can grow up to two meters in length. The horn from dead animals is pressed into plates in India, which are then delivered to us. You are probably not the only purchasers of horn from India. Is this raw material market subject to shortages? Within the eyewear industry there are never any real problems. Our biggest competitor in terms of sourcing materials is the buttons industry. They are buying lots of horn. A medium-sized horn will yield only one pair of eyewear frames, but alternately hundreds of buttons. And buttons are in demand in large quantities. What makes horn such a desirable resource? Horn is lightweight, skin-friendly and non-allergenic. Plus, every piece of horn plate is unique, as every horn differs in structure. There are only seven different colors to horn as a basic material. But by combining different plates, we are able to offer 270 color nuances. Horn is also a warm material. Wearing the glasses brings them up to body temperature, so wearers hardly notice that they are wearing glasses. Horn is a living material, much like skin. It needs constant care, including applications of crème. If the glasses lose their luster, we can polish them here at the factory. We receive many frames that have been worn for five, ten or even 20 years. We are delighted that our customers are wearing our products for this long, although it’s bad for sales figures (laughs). Your sole focus is on horn-framed spectacles? Does that ever get boring? No. Our many coloring options and the other materials implemented during finishes constantly open up new opportunities. Our current project is the world’s thinnest horn-frame – only 2.2 mm in thickness. There are always plenty of ideas and we stay true to our philosophy. Horn spectacles are made from frail materials. Do you see yourself as craftsmen or artists? I see eyewear manufacturing as a craft. 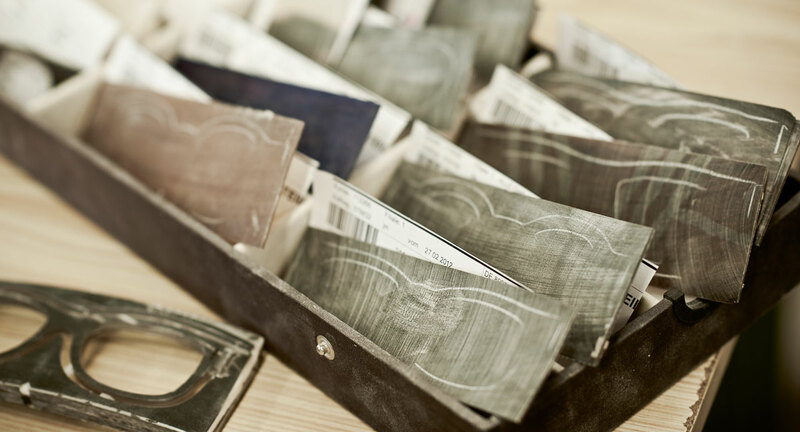 But horn is always different and all our glasses are made-to-order, so every pair of glasses is produced individually. Our employees are dealing with new challenges on a daily basis, so it’s fair to regard them as artists a bit. So every pair of glasses is built to customer specifications? How does that work in practice? We offer a certain amount of models in our collection. The opticians chose the ones they would like, and we make them. We also manufacture individual styles based on customer requests – based on drawings or built on an existing model. And we also take it to the next level: In theory, a hunter could come by and bring his own deer antlers. And we’ll make glasses for him! These are the true one-of-a-kind pieces, unique styles with unique materials. Are these significantly more expensive than standard models? The opticians have to pay 90 Euros extra for customized pieces. This is a significant service offering on our part, since individual frames require a large degree of manual labor. What are the stages of the production process? How do you treat the horn plates? The horn is sawed open and we extract half-rounded pieces that are pressed flat under pressurized heat. We receive horn plates that are 160 x 60 mm in size. They are between 3 to 6 mm thick and we sand them down to 1 to 2 mm in order to attain harmonious coloring. In its raw state, horn tends to be rather dark-colored. Only during the sanding process we can see, which colors can be obtained. After sanding, we cross-stack the plates on top of each other: One straight fiber, one cross fiber, one straight fiber – and so on – until we weld the plates together. One pair of glasses consists of four to ten plates. The sanding process leaves very little waste materials. What happens to leftovers? We supply our horn shavings and horn meal to the vineyards in the area as fertilizer, and organic farmers and agricultural operations like it as well. Decomposition of horn releases nitrogen, a natural fertilizer. Are there certain special steps to keep in mind during the processing of horn? Inserting lenses or fitting the frames requires special care. The horn should only be heated at certain intervals, since it does not obtain heat as quickly as acetate. We insert the frames into the ventilette unit for eight seconds, take them out, wait for eight seconds and repeat. At a certain point you notice that the frames are softened enough for adding the lenses. You also need to protect the surface with oils while heating. It’s also important to break the tip off the lens bevel, so that there is no wedge effect between lens and frame molds. 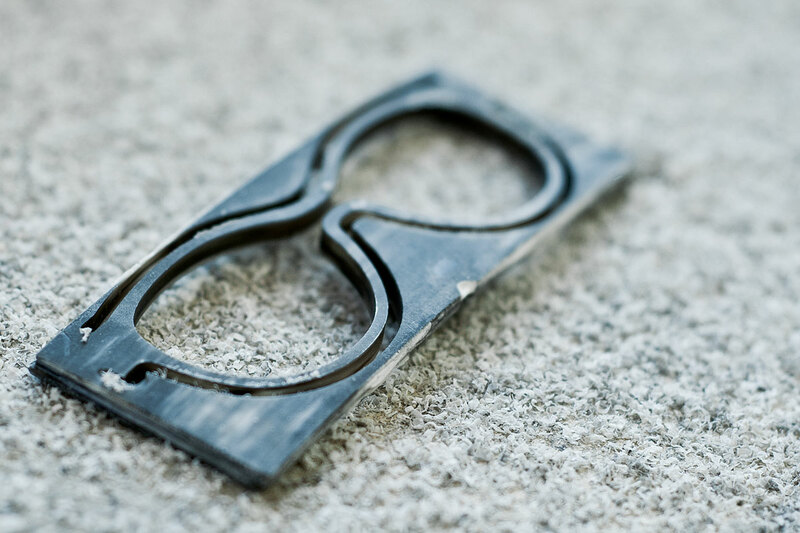 Horn is a highly energetic material and continues to be alive even as an eyewear frame. It is also very hard. We can mill down three frames with one milling head before it is blunted. You could get about 300 acetate frames out of the same set-up. Do you employ specialized production processes? A patent-protected method? Yes. We have developed the Triplex method, during which every pair of frames is fitted with a safety core. And due to our method of cross-stacking the horn plates, we are able to provide frames with outstanding flexibility and stability. How many individual steps are involved in the process? I have honestly never counted them. We tend to calculate in terms of working hours, and right now we are at “one pair of frames per employee per day.” So we get about 50 frames per day right now, with each employee in charge of a distinct step. 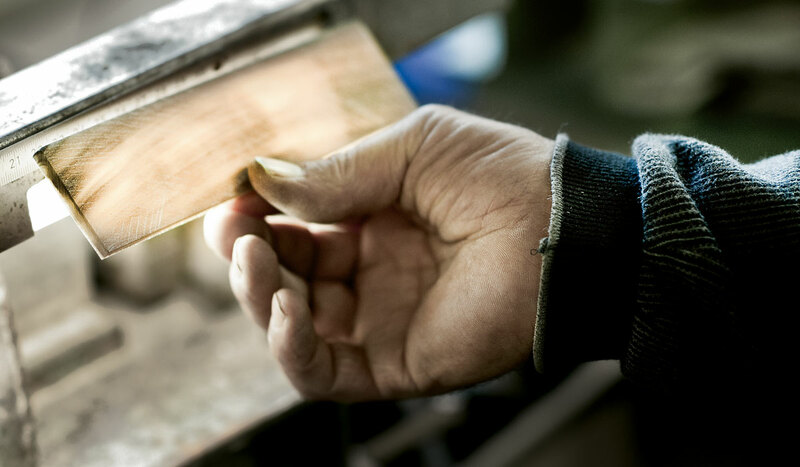 Each set of frames passes through many hands before it’s ready. What parts of manufacturing can be automated, which ones require manual labor? We do not automate any steps of the process, but we do employ CNC machinery to supplement certain processes. With CNC machinery, we are able to mill with precision and implement the kind of level of detail, which manual methods would only yield under extreme efforts, if at all. 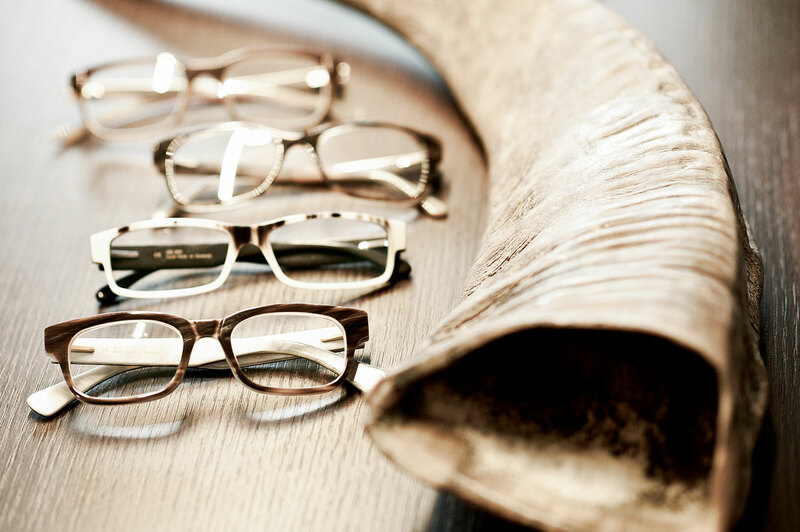 Do you color the frames at all, or are all colorways natural blends of horn? We primarily use horn in its natural coloring and we obtain nice effects by combining different shades. Some of our glasses are colored with natural methods. In how far are you able to accommodate customer requests for color and shapes? We can realize anything within the realm of possibility. First we create a production sample, which we send the customer for approval. Then we produce the frames. We also try to create a sample for unusual colorways, since the frames can lose some of their color intensity during production and color is hard to pinpoint in advance. What kind of customer opts for horn-framed glasses? And for what reasons? There are several reasons. We have customers who choose horn because it does not trigger any allergies. Other customers want to wear only “natural” materials. Others want an upscale material for their frames, while some put an emphasis on individuality. They don’t want any labels, and like the understated approach. Hand-made frames are something special. And “hand-made in Germany” is a rare treat these days. Horn-framed glasses had a reputation as being uptight for a while, then came back with a vengeance. What’s your trend prediction for the next two years? We could definitely notice these shifts in the past. I don’t think we will see these kinds of extremes again. Today, horn-framed glasses are continuously on-trend, only the shapes and strength of material are subject to fashion trends. We offer both the strong, heavy versions as well as the half-framed options. This was not possible before – either one or the other would be trendy at a time. I expect eyewear to get more refined on the whole. But we can cater to that with horn frames as well. In closing, what do you ask of your products? Individuality and naturalness! And we are “hand-made in Germany.” As a specialized manufacturer, we are always keen on maintaining our technical lead. When it comes to processing horn, we offer more options than anyone else. And even after 37 years of manufacturing experience, we are far from running out of ideas. And we’re keeping it that way!